DA sanding pads - 2", 3", 5" & 6"
2" ,3" DA sanding pads with fixed 5/16"-24 or M6 external thread , suitable for use with most air sanders at max. speed of 20000RPM. 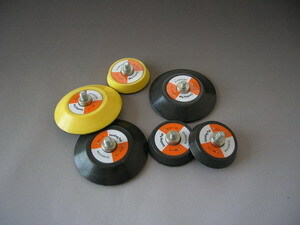 5",6" DA sanding pads with fixed 5/16"-24 external thread , suitable for use with most air sanders at max. speed of 12000RPM. Monolithic structure of 5/16"-24 threading structure, ensure the high strength and precision. 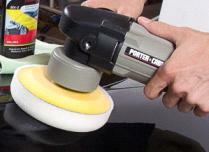 29-Degree Bevel Edge offers the excellent flexibility , ideal for work with Electric Buffer/Sander and Foam Pads for Car Detailing work. ☆ It is for PSA/loop backed delta sand paper, Pad Size:4"×5"